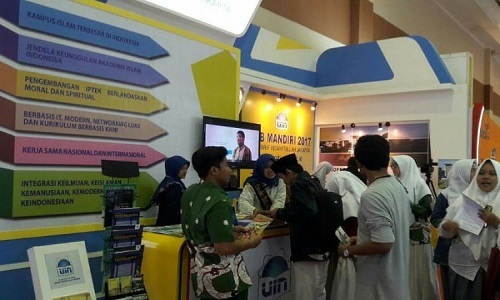 Tanjungpinang, UIN News Online – 14 Al-Qur’an memorizers (Hafidz Quran) in Riau Islands Province graduated from senior high school participated in the selection of admission to the Faculty of Medicine and Health (FKK) UIN Jakarta with provincial scholarships. The admission test conducted in SMUN 1 Tanjungpinang on Saturday (17/7/2017), which was opened by the Regional Secretary of Riau Islands Tengku Arif Fadillah. 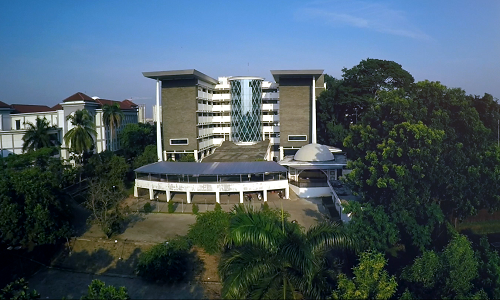 In his speech, Arif said that the scholarship selection program at FKIK has been implemented after Riau Islands Provincial Government signed a cooperation agreement with UIN Jakarta several months ago. The goal of this program was to generate hafidz doctors in Riau Islands. Of the 14 memorizers as selection participants, the average participant has memorized Koran between 10, 20, and 30 juz. “This is an activity which resulted not at a current time, but it will show its result at the next four to five years. How proud we are later because we have dozens of doctors who at the same time are hafiz in this Riau Islands, “he said. He added, the Quran memorizer or hafiz who passed the selection later will be able to study on four majors of interest of Study Programs, which are Doctor Education, Public Health, Pharmacy, and Nursing Sciences. This scholarship program was a follow-up of Riau Islands Provincial Government after previously graduating 1,020 hafiz and hafizah in Kepri island at STQ event in Batam. In response, Dean of FKIK UIN Jakarta Prof. Dr. Arif Sumantri said, what is done by Kepri Provincial Government is very extraordinary to respect and appreciate the hafiz. “This is the beginning for the future changes of Riau Islands Province,” he said. As an appreciation of the Qur’an memorizers, Arif continued, FKIK UIN Jakarta itself implements a special test system for them. One of them is the assessment standard which not the same as the regular path. “Therefore, we hope that many will participate and take this special opportunity well,” He said.